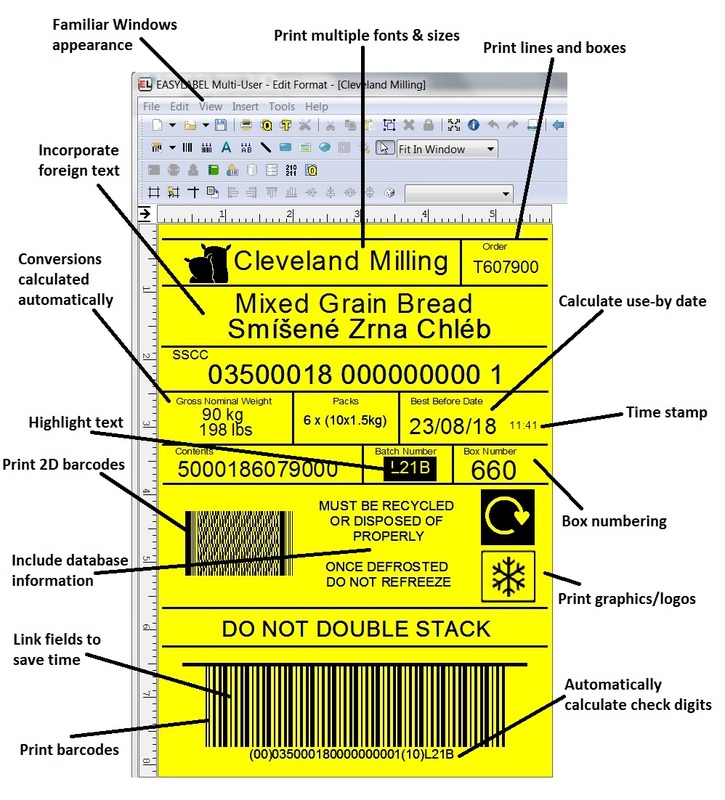 Label design on screen of text, barcodes and graphics. Print fields can be sized and rotated to suit label orientation. Test labels can be products and fields can be drawn from Easylabel internal or external databases as single or multiple entries. Label and barcode printing can be direct from Easylabel or remotely controlled from external programmes. Print jobs can be queued with priorities user-controlled. Queues can be saved and reports of labels printed can be output. Variable graphics can be added by manual selection or drawn automatically along with other database information. Barcode wizard simplifies the creation of EAN/GS1 128 barcodes, guiding users through the use of application identifiers and associated data. Hazardous chemical labels can be easily created using multi-language Risk and Safety phrases drawn from cross reference databases. FDA21 CFR Part 11 compliance toolkit incorporates electronic signature safeguards. Database facilities include ActiveX support for ease of connection to most external databases, database editing from within Easylabel, dBase II, III, III+, IV and ASCII text file compatibility and a very fast internal database. Arithmetic functions allow currency conversions. Net and gross weight sums etc. can be carried out automatically. 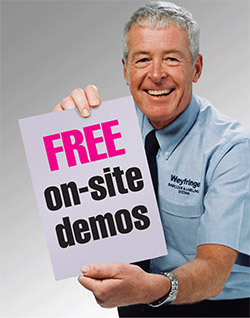 Sell-by/use-by date automatic calculations for 1,000's of products. Consecutive/serial numbering for shipping and identification control. Can store records of last numbers used for automatic update next time. MRPII and ERP compatible for simple resource-planning connection. Data validation reduces human error by allowing operator data to be validated before inclusion on the label. Easylabel 6 includes a number of advanced features for automation and remote control. These are easy to use but may require knowledge of other Microsoft programs. RFID Wizard allows the programming and print of High and Ultra High Frequency (HF & UHF) smart labels. Will also assist in the creation of an Electronic Product Code (EPC) and import required data from other sources. ActiveX Controls provide seamless integration with many Windows applications allowing printing to be initiated from within database, accounting and other applications. Command File Monitoring enables another computer system to integrate with Easylabel. Variable information to populate fields on the label design can come from AS/400, mainframe and UNIX systems. Database Cross Reference allows data to be pulled in from several databases with each one pointing Easylabel to the next related database. This means, for instance, that multiple language versions of the same information can be automatically retrieved according to user-selected countries. Databaseviewis is a new database editor which enables users to edit and create Access databases from within Easylabel. Universal Naming Convention provides easy identification of shared target printers on a network elsewhere in the world. Labelcom triggers printing by an external device such as a barcode reader or scale.